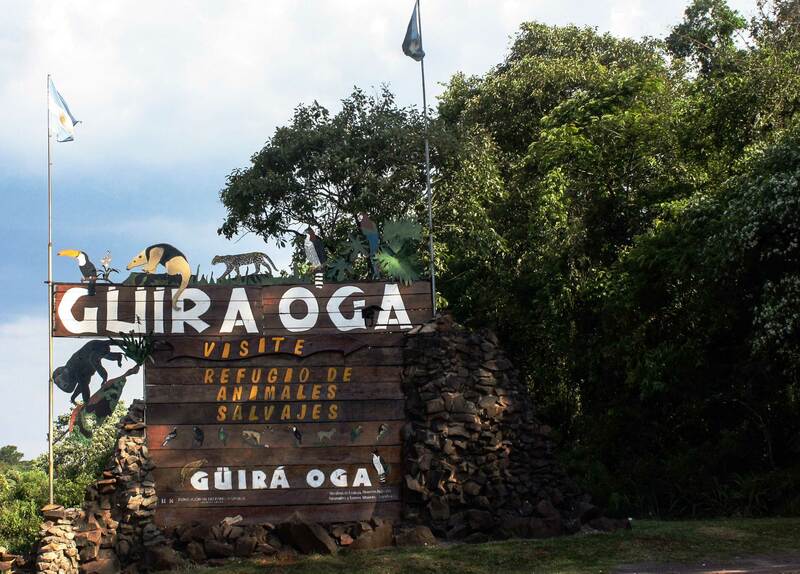 Güira Oga welcomes all animals to undergo its impressive rehabilitation program. I had come to this remote town in northeastern Argentina at the confluence of the Iguazú and Paraná rivers that separate Argentina from Brazil and Paraguay to explore the majestic waterfalls in Parque Nacional Iguazú. 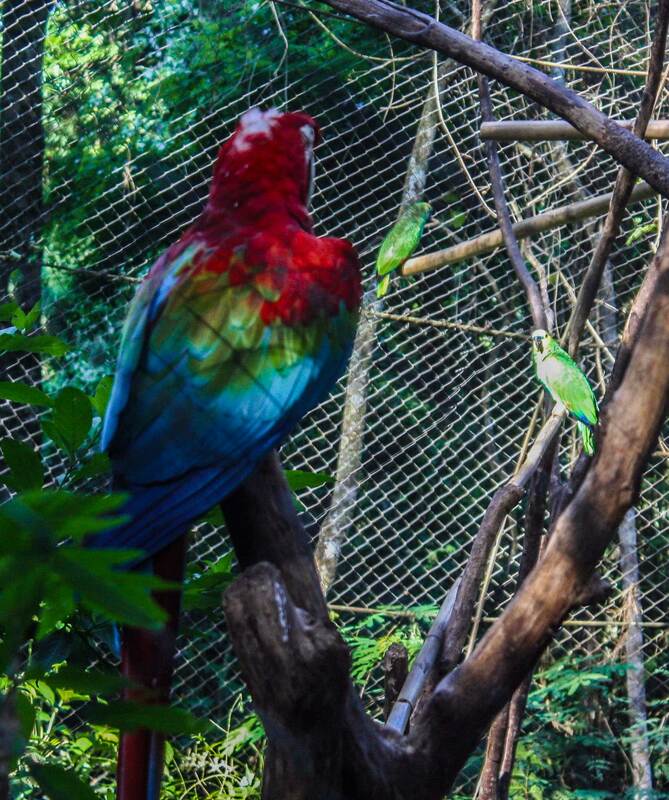 But before venturing into that fantastic national park, I headed deep into the jungle for a wildlife education at Güira Oga and to visit its feathered guests. As I bounced around on the flatbed wagon being pulled by a tractor on a bumpy path through the lush flora, I took deep breaths of the most unpolluted air while I waited for Carmen, the very accommodating guide, to switch languages to English for me, her only non-Spanish-speaking visitor. Founded in 1997 by a husband-and-wife team of naturalists and specialists in the rehabilitation of raptors, Güira Oga (“House of the Birds” in the local Guarani language) serves a lofty and admirable goal. The wildlife refuge rescues animals that have been wounded by poachers, traumatized by traffickers, injured in accidents, or abandoned or liberated by owners who no longer want them as pets, oblivious to the fact that their long-domesticated housemates will be unable to survive in the wild. Upon admission into Güira Oga, the animals receive a complete medical assessment by staff veterinarians. Those with minor injuries are treated and usually returned to where they were found within 48 hours. For those with more serious conditions, Güira Oga channels them into its rehabilitation program. Once the animals have completed the program, those with a good chance of surviving, thriving, and breeding in the wild are released. Throughout the process, the refuge is open to educate the public on the urgency of wildlife protection. Some of the feathered “guests” prefer face-to-face time with each other rather than visitors. Most of the animals at the refuge — lovingly referred to as “guests” — are birds, but turtles, capybaras, curious capuchin monkeys, and other small mammals can be found among the temporary residents. As Carmen led us around the 47-acre shelter, she shared some of the guests’ stories, and they’re all quite sad: Some animals had been hit by cars and left to die on the unlit roads around the refuge, others were packed into luggage to be smuggled out of the country, still others were shot by opportunistic poachers. Here at Güira Oga, safe from natural predators and from man’s disregard for their welfare, these animals are taught, or re-taught, basic survival skills. 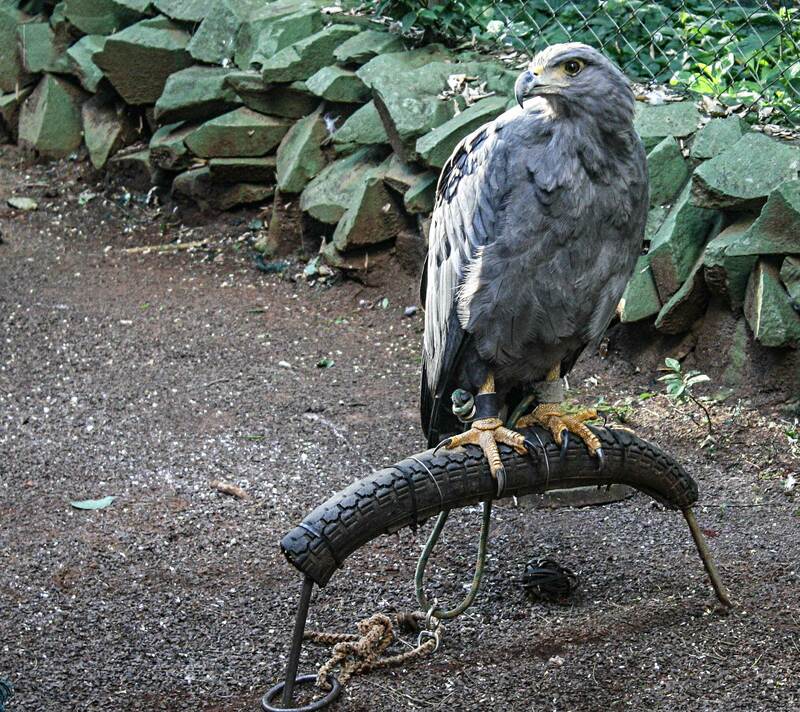 I was particularly fascinated by the boot camp regimen for wounded birds of prey. The birds’ injuries are tended to by the vets and technical staff first. While they are recovering, they are taught the skills they will need once they are released into the wild. One of the groups of birds I saw — magnificent creatures with alert eyes and regal postures, and looking very healthy under the staff’s care — was awaiting their final test before graduating. Tethered to their perches to prevent them from flying off before they were ready, they awaited their last exam like high school seniors in June. The birds will be unhitched in a confined area along with a fur-covered mini-robot on wheels. Cleverly disguised, these robo-rodents scurry around, trying to evade the birds, which, if they have been good students, will attack them with their talons and attempt to carry off what appears to them as a fine meal. If all of this goes properly, the birds are then free to fly once again in their natural habitat. A bird of prey awaits its final exam before being released back into the wild. As we wound around the refuge, passing by scarlet macaws and long-beaked toucans, we eventually paused at a small flock of squawking gray and green monk parakeets, and I couldn’t help but laugh. Carmen looked at me quizzically and asked what I was finding so funny, and when I told her the reason, she was incredulous and flabbergasted, and ultimately delighted. Urban legend in my hometown of Brooklyn, New York, holds that in 1967, a flock of these adorable but noisy parakeets escaped from a crate that arrived — illegally — at JFK International Airport from Argentina. These feathered immigrants quickly adapted to their new home, particularly in several neighborhoods in Brooklyn, including on the campus of the college where I work, where I hear or see them on a regular basis as they build their complicated nests on top of utility poles or graze on the grassy quads of the campus. Here I was, in the middle of a jungle in the middle of South America, 4,750 miles from where I live, and I felt just like I was at home.